Newly engaged couples are invited to be inspired to bring your dream wedding to life with our experienced and exceptional hospitality, quality catering and exquisite styling from the House of Doltone team. 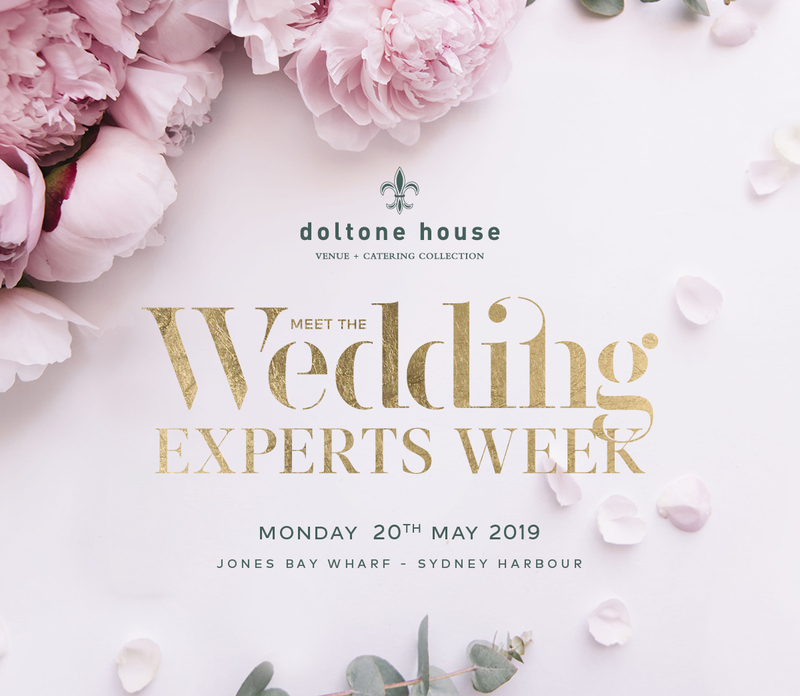 Come and meet Doltone’s Wedding Experts! Take a Tour around Doltone House Jones Bay Wharf venue. Taste our Chef’s special selection of canapés. Toast your engagement with sparkling wine!